Dunhill Nightcap Pipe Tobacco, is a full-bodied blend consisting of high-quality mixtures of Latakia, Oriental/Turkish and flue-cured Virginia tobaccos. 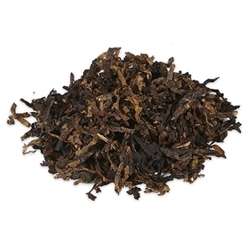 Dark, sweet and peppery Perique is added prior to packing to enhance the flavor. Dunhill Nightcap is a premium style pipe tobacco that offers a perfect smoking experience for those who love to unwind and relax at the end of the day.